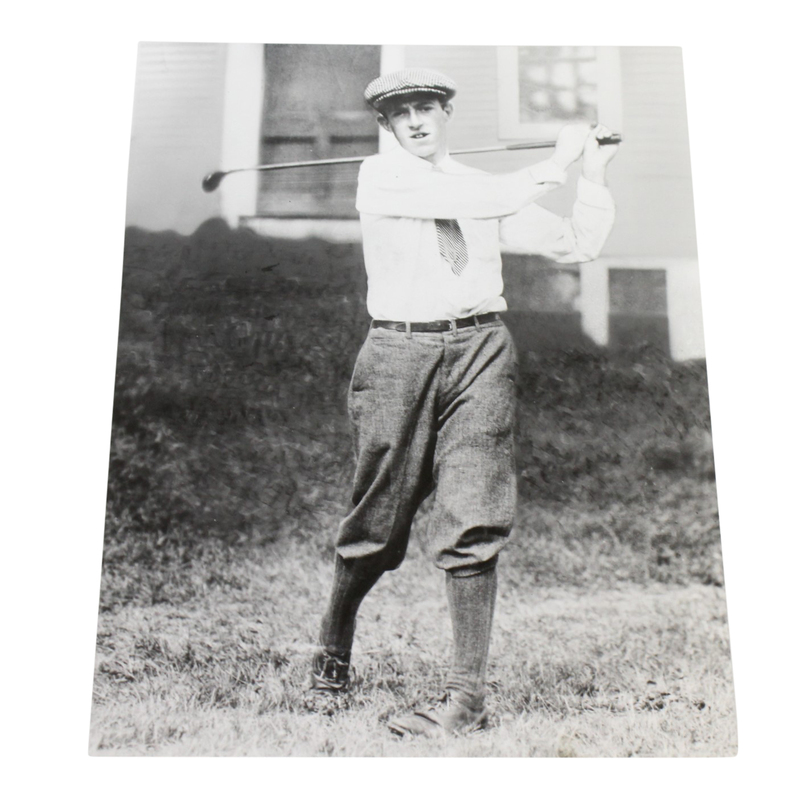 Francis Ouimet was an amateur golfer who is frequently referred to as the "father of amateur golf" in the United States. Born in Brookline, MA , Ouimet became interested in golf at the young age of 11 and started to caddy at The Country Club. He went on to win the U.S. Open in 1913 and was the first non-Briton elected Captain of the Royal and Ancient Golf Club of St Andrews. He was inducted into the World Golf Hall of Fame in 1974 along with other major influences in the game of golf. This 2 1/4" x 3 1/2" card contains a beautifully written signature written by francis Ouimet in what appears to be rich black ink from fountain pen.